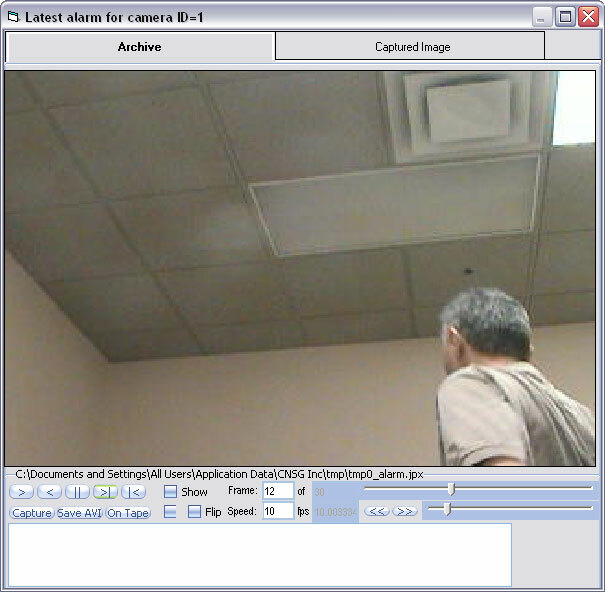 Network Client notification launches the camera in alarm (when applicable) video stream along with alarm information and alarm video access, to the defined DETEXI Client computer. 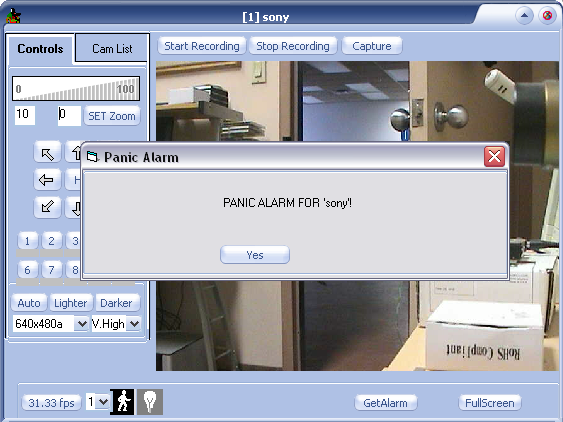 Alternatively, sends a user-defined message to be displayed on this computer, disregarding any alarm-specific information. If the Message can be changed automatically checkbox is checked — launches the camera in alarm video stream along with alarm information and alarm video access (if alarm video recording was configured in the task). If the Message can be changed automatically checkbox is unchecked — sends a user-defined message to be displayed. Setup an operator terminal Address and Port number. The Send always checkbox can be checked. Multiple Network Client notifications can be created under one task. If the Send always checkbox is checked the notification always initiates, if not — just in case the checked notification failed. At least one Send always checkbox must be checked in a task notifications. Check the Priority alarm checkbox to add new alarm information on the top of the Alarms list otherwise it will be appended to the bottom. Enter a message to the Message text box. Depending on the response you desire the Message can be changed automatically checkbox can be checked or unchecked. Check Append to log checkbox to append notification specific information to the existing log file each time when Network Client notification is initiated (optional). 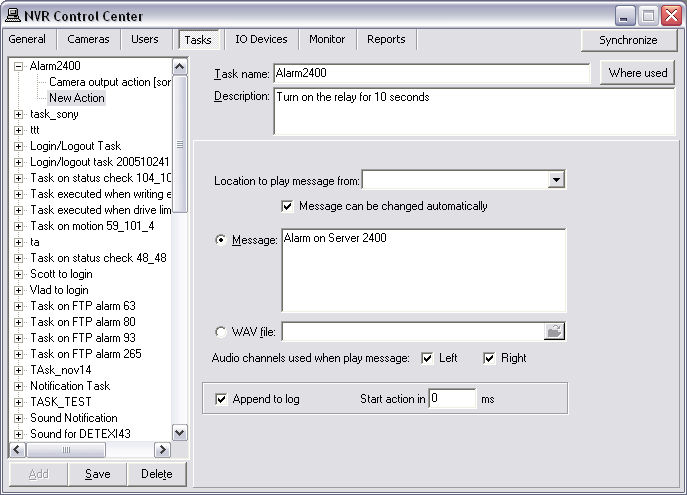 the Network Client notification alerts an operator on the defined DETEXI Client computer by sending a user-defined message, disregarding any alarm-specific information. Launches the camera in alarm video stream. Video popup window is identical to the DETEXI Client single camera live view and has the same navigation and other capabilities as if operator launched this view. Pops up alarm-specific information window and speaks the information. Adds alarm information to the Alarms List and pops up the list. Provides access to the recorded alarm video ( Get Alarm button). 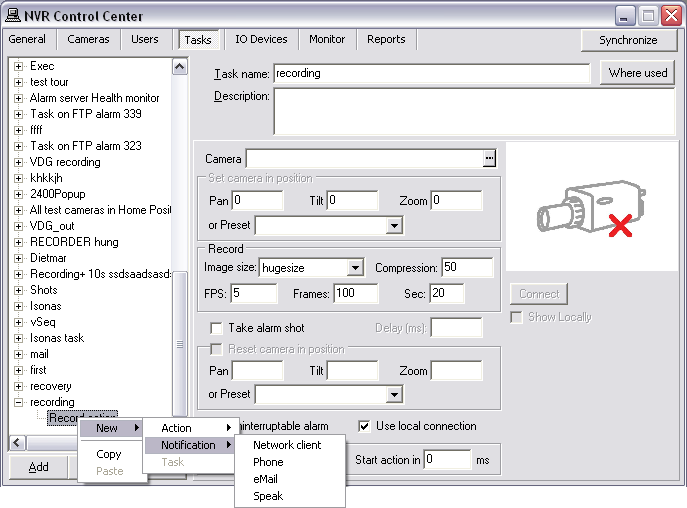 If alarm video recording was configured in the task (Record Video action), recording starts immediately at the moment alarm was detected. This allows remote monitoring stations (Remote DETEXI Clients) to become immediately aware of a change in a monitored environment and respond to things that occur. Select a camera from the cameras drop-down list at the bottom. Click the Get Site button. Select an alarm from the alarms list. Click the Get Alarm button. When Network Client notification adds new alarm information to the Alarms List it goes to the top of the list if the Priority alarm checkbox was checked, otherwise it will be appended to the bottom. Verified alarms could be check marked. A check marked alarm gets "resolved" status (useful for operators). The Delete button deletes any selected alarm from the alarms list disregarding status. Clicking the Get Alarm button from the video popup window or alarms window launches the DETEXI Archive Viewer playing the recorded alarm video. If alarm video recording was configured in the task (Record Video action), recording starts immediately at the moment alarm was detected. Uncheck the Overwrite alarm checkbox to prevent a current live video popup from the interruption by a new alarm video. Check the Advanced checkbox — the alarm popup information (including live and recorded alarm video) shows up on the screen in a fixed full screen layout (eliminates windows overlapping). 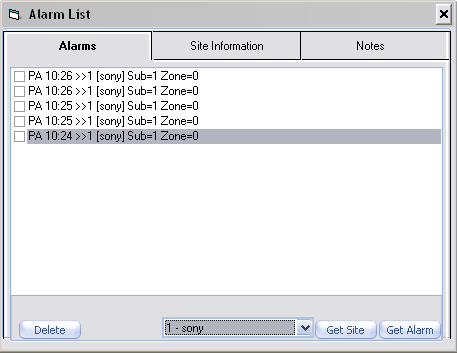 If the No Alarm List checkbox is checked, the Alarms List will not pop up on alarms. If the Close only empty list checkbox is checked, the Alarms List will be prevented from closing until all alarms in the list are check marked as "resolved" or deleted. Check the Mute sound checkbox — speak a message will be prohibited. If the Write on Alarm checkbox is checked — recording starts locally (on the Client computer) immediately at the moment alarm was detected until defined time expires. Check the No popup on alarm checkbox — alarm popup will be prohibited. If a recording time was not defined (0), the recording will continue until the Stop Recording button on the video pop is pressed. If the Deja Vu checkbox is checked — the DETEXI Archive Viewer playing the recorded alarm video will be launched automatically. If the Overwrite in List checkbox is checked — a new alarm from the same camera will overwrite previous in the Alarms List. 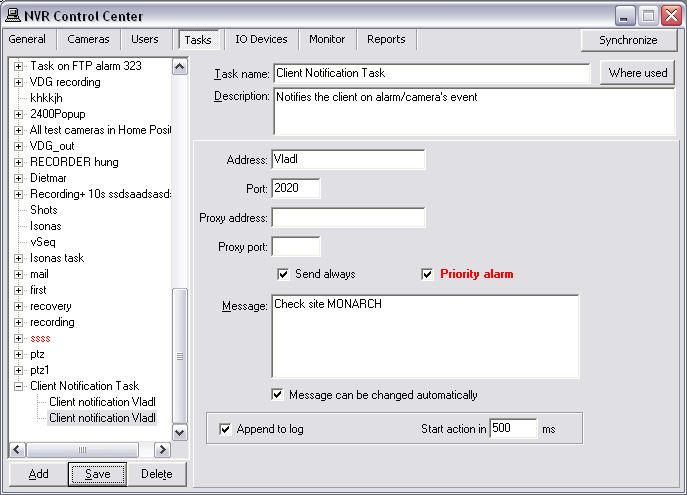 Check the Log-Alarm checkbox to keep track of all Network Client notification alerts received by the Client. Local log file will be created. When the trigger condition is met a Phone notification alerts an operator or an authorized person by sending a user-defined notification to a phone. Select a location from the Location to phone message from: drop-down list if provided (for advanced users). 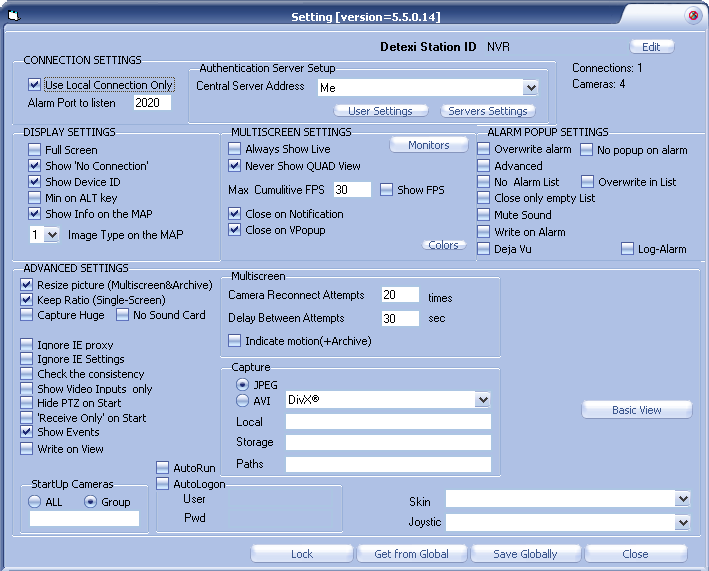 The NVR Alarm Central service can run on any computer without the DETEXI NVR. If there is more than one location running the Alarm Central service the Location to phone message from: list will be provided for the selection. By default (if not other location is selected) a message will be phoned from the NVR Server. Enter a required Phone/pager to call number. Multiple Phone notifications can be created under one task. At least one Send always checkbox must be checked. Check Append to log checkbox to append notification specific information to the existing log file each time when Phone notification is initiated (optional). eMail notification sends alarm-specific or user-defined emails to one or more user-defined email addresses. Has the ability to attempt multiple times on failure. When the trigger condition is met an eMail notification alerts an operator or an authorized person by sending a notification to one or more user-defined email addresses. Select a location from the Location to mail message from: drop-down list if provided (for advanced users). If there is more than one location running the Alarm Central service the Location to mail message from: list will be provided for the selection. By default (if not other location is selected) a message will be mailed from the NVR Server. Enter a required Subject line and Message. Check the Message can be checked automatically checkbox to allow a user-defined message to be replaced to the automatic alarm specific message (optional). Enter a number of attempts and the retry attempt interval in the Repeat if unsuccessful. Check Append to log checkbox to append notification specific information to the existing log file each time when eMail notification is initiated (optional). If necessary, enter Start action in time(ms) — a delay between trigger condition detection and action initialization. Speak notification plays alarm-specific or a user-defined WAV file or text-to-speech message on the NVR Server or any other computer running the NVR Alarm Central service. When the trigger condition is met a Speak notification alerts an operator by playing a wav file or text-to-speech message. Select a location from the Location to play message from: drop-down list if provided (for advanced users). If there is more than one location running the Alarm Central service the Location to play message from: list will be provided for the selection. By default (if not other location is selected) a message will be playing on the NVR Server. select a WAV file: radio button and enter the wav file name (or press the browse button and browse to the directory containing the file to select it). Specify Audio channels used when play message — check Left, Right or both checkboxes. Check Append to log checkbox to append notification specific information to the existing log file each time when Speak notification is initiated (optional).